Arturia’s new controllers combine MIDI and CV control. 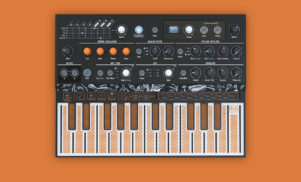 Arturia has unveiled the second iteration of its KeyLab controllers. KeyLab MKII comes in both 49 and 61-key versions and includes CV connections (four CV outs and one CV in) alongside MIDI control for hooking them up to analog gear such as Eurorack modular systems. 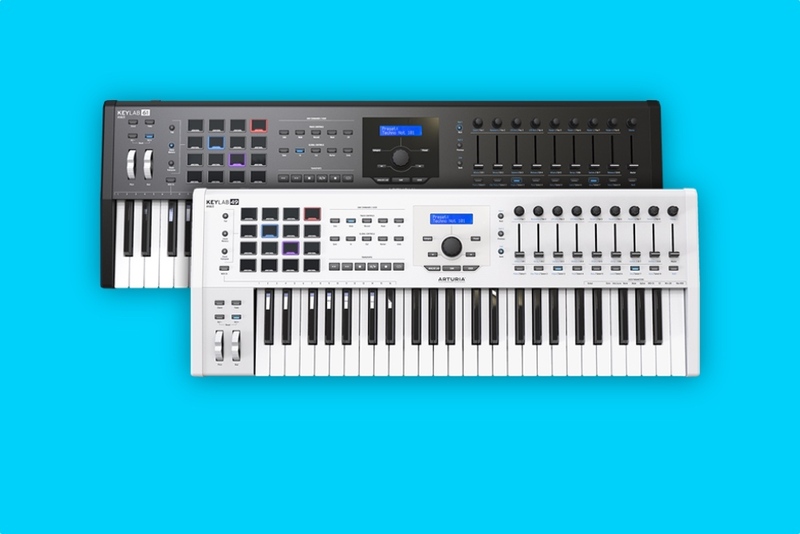 According to Arturia, the controllers – which will cost $449 for the 49-key model and $499 for the 61-key version – inherit some of the features and workflow of last year’s budget-conscious KeyLab Essential models. Core features of the KeyLab MKII models include a ‘pro-feel’ keyboard with velocity and pressure sensitivity, 16 backlit pads for making beats, a dedicated DAW command panel with magnetic overlays for different software, chord modes and inputs for sustain and expression pedals. 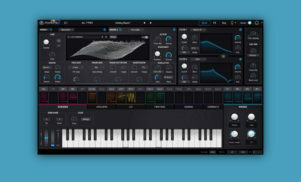 As well as including overlays for DAWs like Ableton Live, Logic Pro X, Pro Tools, Cubase, Studio One and Reaper, the KeyLab MKIIs are designed to integrate with Arturia’s Analog Lab software (included with the controller), which includes software emulations of the ARP 2600, Yamaha DX7, Buchla Music Easel and Roland Jupiter-8. Arturia is also bundling its Piano V software and a copy of Ableton Live Lite with each controller, which are expected to hit stores in July. You can also pre-order it from the Arturia website.